One hour from Paris, Beaugency is certainly one of the most attractive town at the heart of French History. The hotel is ideally located in the historic center of this vibrant medieval town which is one of the jewels of the Loire Valley. Often called the “Garden of France”, the Loire Valley is an enchanted land of vineyards, flowers and rolling green hills dotted with more than a thousand chateaux such as the Château d’Amboise, Château de Chambord, Château de Chinon, Château du Rivau, Château d’Ussé, Château de Villandry and Chenonceau. On the road of the valley of the kings, the town of Beaugency is a flowered city which has many old districts, impressed history, the whole in the medium of a remarkable natural environment. The city of Beaugency has been the site of numerous military conflicts. It was occupied on four separate occasions by the English. On June 16–17, 1429, it was the site of the famous Battle of Beaugency, when it was freed by Joan of Arc. Beaugency also played an important strategic role in the Hundred Years’ War. The cultural monuments in Beaugency illustrate to an exceptional degree the ideals of the Renaissance and the Age of the Enlightenment on western European thought and design. Sights of interest to visit in Beaugency : the Medieval keep (11th century), the Lock of Dunois (14-15th century), the Church Saint Etienne (11th century), the Abbey church (12th century), the City hall (16th century) and the Bridge (14th century). Get the most of your holiday across the Loire Valley by visiting the beautiful website of Beaugency Tourist office. 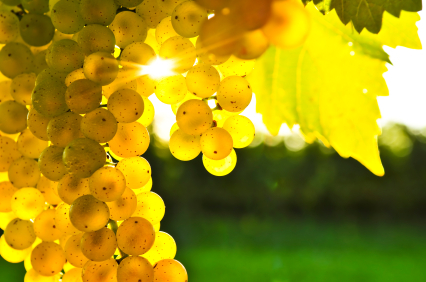 Savor the wines of france… The Loire Valley has a long history of winemaking dating back to the 1st century. 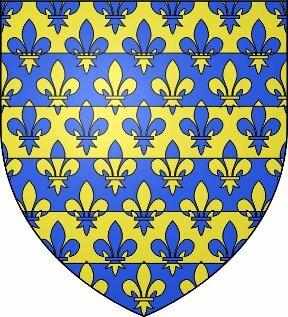 In the High Middle Ages, the wines of the Loire Valley were the most esteemed wines in England and France, even more prized than those from Bordeaux. The vineyards of the Loire Valley are rich in wines of exception that are acclaimed for their diversity and authenticity. Among different wine styles, Loire wines tend to exhibit characteristic fruitiness with fresh, crisp flavors-especially in their youth. Due to its location and marginal climate, the overall quality of a vintage has a dramatic effect on the quality of the region’s wines-more so than with other French wine regions. With gastronomy full of flavour, the Loire Valley way of life will have no trouble convincing you of its merits. Step by step, the Loire Valley takes you back in time to share its dreams and reveal its secrets. Conveying beauty and combining the elegance of architecture with that of the spirit is also sharing an elegant way of life, le Relais des Templiers is the hotel where you will really feel at home.